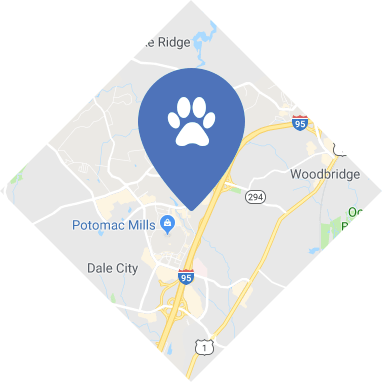 The Dog Eaze Inn offers the best in overnight Dog Boarding at our Woodbridge, VA location. As pet parents ourselves, we understand how difficult it is to leave your dog when you need to be away. 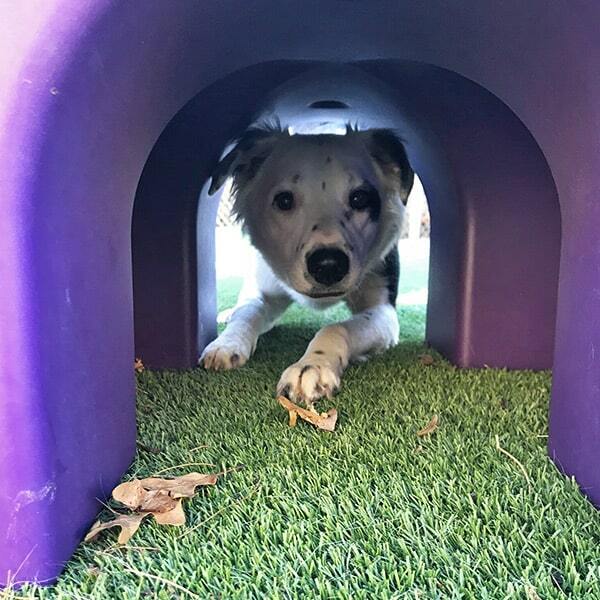 This is why we've developed a dog boarding program here at The Dog Eaze Inn designed to ensure that your pet has the highest quality care in the safest environment. We're convenient to the entire Northern Virginia and Washington DC Metro Area. Please allow 10-15 minutes for the check-in and check-out process. Check-out time is 11:00 am, which allows us to prepare rooms for incoming guests. We are happy to accommodate a later check-out time for an additional fee. During the summer months and during major holidays when we are full, we suggest that you drop your dog off after 3:00 pm, and checkout by 11:00 am so that we may prepare the rooms for our incoming guests. Our lobby is closed on New Year’s Day, Memorial Day, Independence Day, Labor Day, Thanksgiving and Christmas. Call us to schedule a reservation. Your pet will enjoy a luxury room with access to a private, outdoor patio starting as low as $46 per day. We provide everything your pet will need during the boarding stay. BEDDING: Each guest is provided a soft mat. Luxury bedding is available for an additional fee. TOYS: Your dog will be surrounded by lots of toys and fun things to do. To ensure the safest environment for each guest, we ask that you not bring toys from home. You are more than welcome to bring an article of clothing with the smells of home (t-shirt, bath towel, etc.). Please label any item brought from home and do not bring anything of significant value. We make every attempt to return all belongings but we cannot guarantee that labels remain legible during cleaning and laundry service. CLEANLINESS: Housekeeping is performed twice a day. Each guest room is thoroughly cleaned and bedding is changed as needed. DINING: We provide Taste of the Wild premium grain-free Bison and Venison dry food and fresh water in sanitized bowls. We are happy to keep your dog on his or her own diet at no extra charge but request that each meal is individually bagged and labeled. AIR QUALITY: A state-of-the-art fresh air heating and cooling system is in place to ensure that a consistent temperature is maintained throughout the change in seasons. Safety: The safety of each pet is our top priority. Our team of pet lovers receive ongoing professional training in dog body language and behavior, pet first aid and CPR, as well as Infectious Disease Prevention Certification. We’ve installed secure entries and a 7-foot perimeter fence to ensure the safest environment for our guests. DAILY ROUTINE: Each day, we’ll provide potty breaks, two meals and fresh water, as well as a daily wellness check. When you call us to make a reservation, we will help you customize your pet’s daily activities according to his or her unique characteristics and what you feel is best. 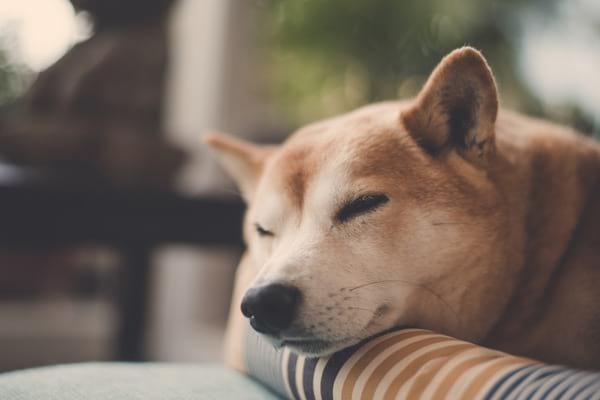 5-POINT WELLNESS CHECK: You’ll have peace of mind knowing that each day of your pet’s stay we conduct a 5-point wellness check to monitor and notate any changes in personality, eyes, skin and coat, appetite, and elimination. We are glad to accommodate pet drop-off or pick-ups outside our normal hours when possible. Please call and speak with an Inn-keeper to pre-arrange accommodations for after-hours services. Additional charges may apply. We love feline friends too! 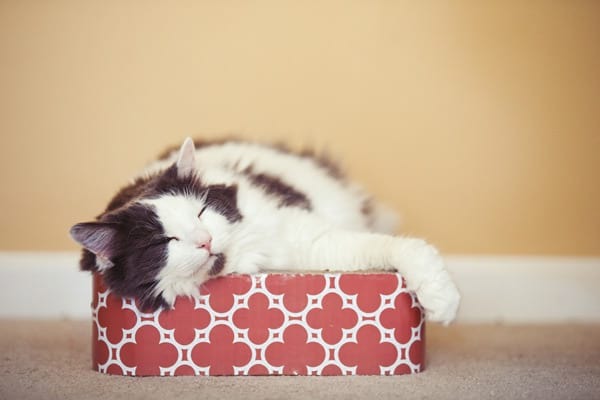 We offer spacious and comfortable cat boarding for our feline friends. Our cat accommodations are separated from the dog areas to ensure your cat is happy and content during a visit with us.